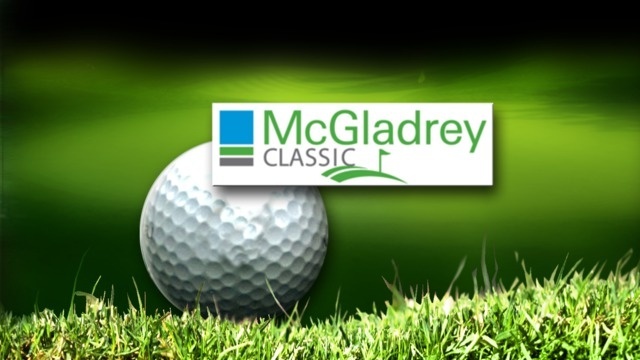 This week on the PGA Tour we head over to Georgia for the McGladrey Classic. Last years winner and Georgia resident Chris Kirk will defend his title and it’s no surprise to see the American among the favourites this week. Heath Slocum won the first McGladrey Classic back in 2010 and like Kirk, Slocum is a Georgia resident so this maybe an angle to look into. Slocum is part of a relatively strong field that features Matt Kuchar, Zach Johnson, Webb Simpson and last weeks Shriners Hospitals for Children Open winner Ben Martin who is priced at 66/1. The Seaside Course is an interesting track, it’s a links style course which was re-designed by Tom Fazio in 1999. This course is a par 70 that has just two par five’s, four par threes and twelve par four’s therefore those that are highly ranked in the par four performance statistic maybe ones to target this week. The wind can be a factor in this event as you’d expect on a links course however the forecast suggests that the wind won’t blow too hard this week which will favour the players that have not played in this event previously. Accuracy off the tee is more important than length as the past results have proved, McGladrey Classic winners, Chris Kirk, Ben Crane and Heath Slocum were all ranked inside the top 70 last season in terms of driving accuracy on the PGA Tour, the only exception was Tommy Gainey although he had a good week off the tee when he won this event hitting 71.43% of fairways which was considerably higher than his average. Finally the greens are relatively quick around the Seaside Course which means the better putters will have an advantage over the rest of the field. Brendon Todd – Todd is coming into this season off the back of a great one, he recorded his first ever PGA Tour victory and was in the running for a Ryder Cup pick at one point. The American finished in the top ten on seven occasions which shows what a player this guy really is. He started last season quickly recording three top 30 finishes in his first three starts including a 16th place finish in this event. The fact that Todd performed well around this course in 2013 suggests he can do well this week. Brendon lives in Georgia where this event is taking place and former McGladrey Classic winners Heath Slocum and Chris Kirk are also Georgia residents so this may prove to be a decent angle. The Seaside Course should suit Todd’s game, length off the tee is not essential with accuracy more sought after and last season Todd was ranked 42nd on the PGA Tour in terms of driving accuracy. Finally the better putters tend to do well on the quick greens and Todd was ranked 6th last season for strokes gained putting. Kevin Chappell – After a missed cut in the first event of the season Chappell is a very backable 66/1 to win the McGladrey Classic. He may have missed the cut in the Frys.Com Open but he played ok from tee to green, a triple and a double bogey didn’t help his scoring. Kevin was playing with new equipment which isn’t always easy, so fingers crossed he will have adapted to the new gear for this weeks event. During last season Chappell proved what a talent he is recording nine top 25 finishes over the course of the season. He also proved he can perform in the big events finishing 13th in the PGA Championship and shooting low scores in other big events. Kevin has played in this tournament on two occasions finishing 32nd and 43rd, last year he shot an opening round of 65 which does suggest he can perform well around this tricky test. Driving accuracy is preferable and Chappell was ranked 41st on the PGA tour in that statistic last season. Finally there are 12 par fours around the Seaside Course which means par four performance is key and Kevin ranked 30th in par four performance last season. Andrew Svoboda – Svoboda impressed me last season after a slow start to the season and i’m confident his first PGA Tour win is not far away. Last season he recorded 2nd and 6th place finishes as well as three other top 25 finishes. Last week Svoboda shot eleven under in the Shriners Hospitals for Children open which placed him in 18th position, this suggests he’s playing well, to add weight to that argument Svoboda made a total of 22 birdies and an eagle which is very impressive. The Seaside Course is a par 70 that features twelve par fours and just two par fives, last season Svoboda was ranked 30th on the PGA Tour in terms of par four performance. Finally driving accuracy has proved to be important and Svoboda is relatively accurate off the tee, he was ranked 31st on the PGA Tour in terms of driving accuracy last season.